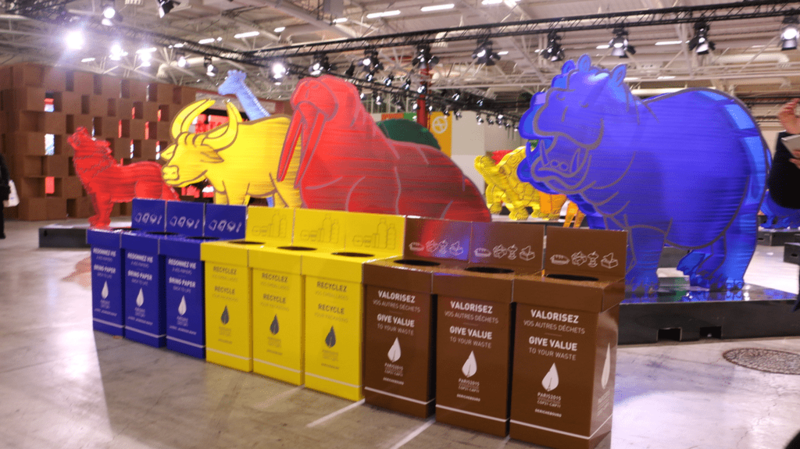 As we are approaching the end of the UN Climate Conference or COP21 in Paris, we take you behind the scenes and inside the conference venue, which has been buzzing every day with activities ranging from High-Level meetings and press briefings to demonstrations by civil society and showcasing of initiatives to address climate change. 1.) 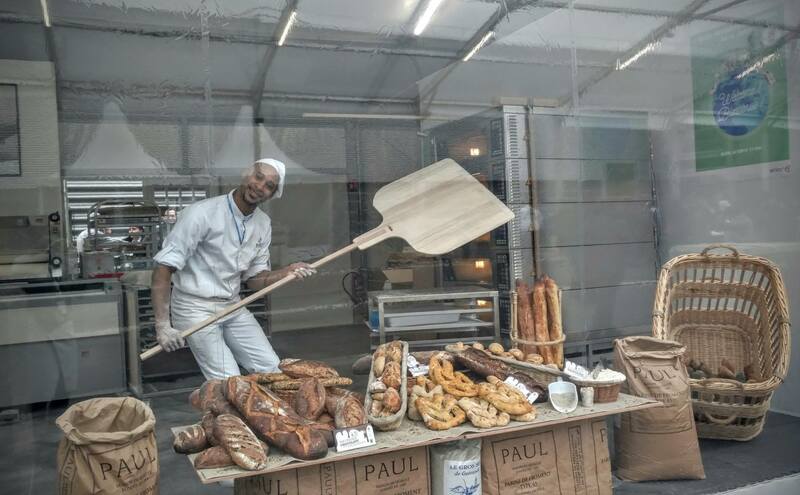 Every day, bakers at COP21 make more than 10,000 croissants to feed the 45,000 participants at the conference. 2.) 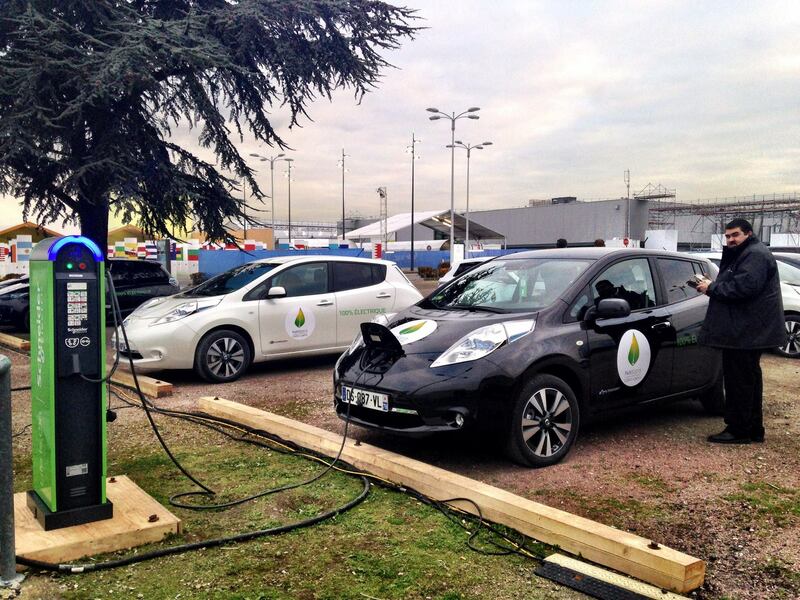 There are 200 electric vehicles to transport delegates, the largest fleet of electric vehicles for an international conference. 3.) There are “recycling guides” throughout the conference centre, usually wandering around near the recycling bins telling people how to separate their trash. 4.) If you’re lucky, you can grab free organic apples, fair trade and carbon neutral chocolate, and Ben & Jerry’s ice cream. This last one has its own COP21 flavour “Save our Swirl” which is raspberry with chocolate chunks. All delicious and sustainable treats. 5.) 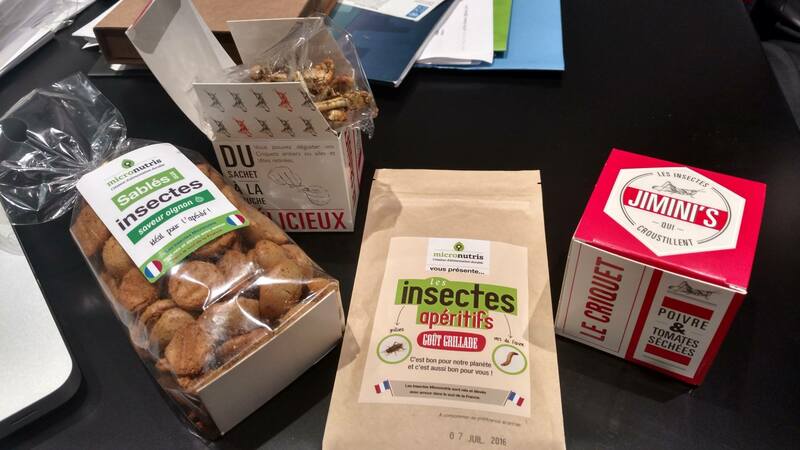 Another less conventional snack at the COP – insects. 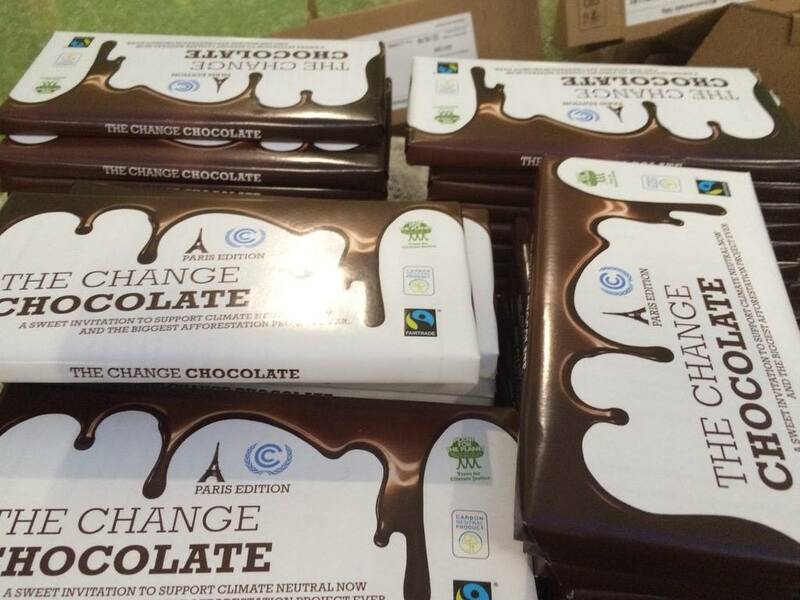 We saw these pop up at the Espace Generation Climat, and then again being offered at a dinner for delegates. Food of the future? Protein for delegates at least. The label says: Good for the planet and good for you. 6.) 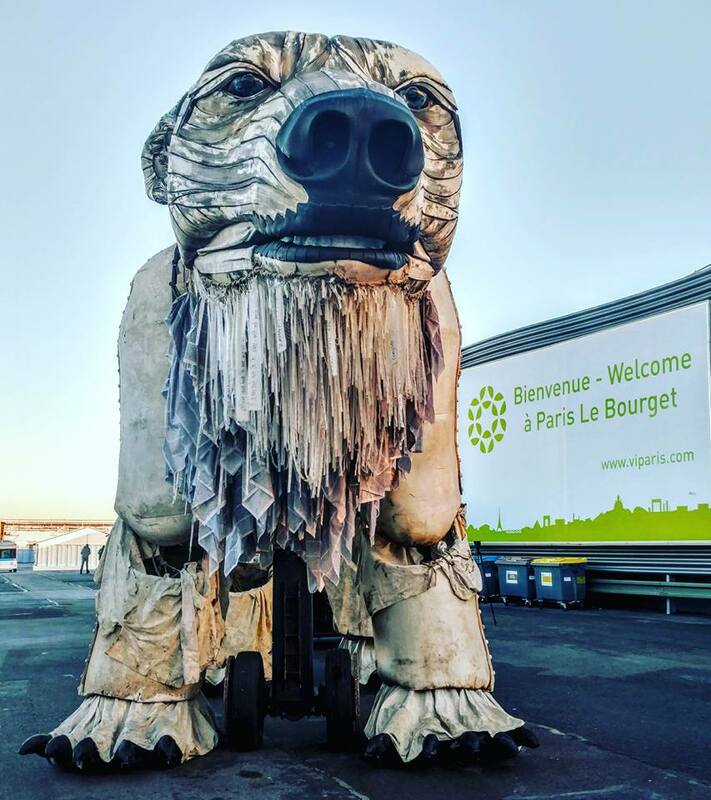 A giant polar bear was sighted at the conference centre. Rumour goes it even moves! 7.) 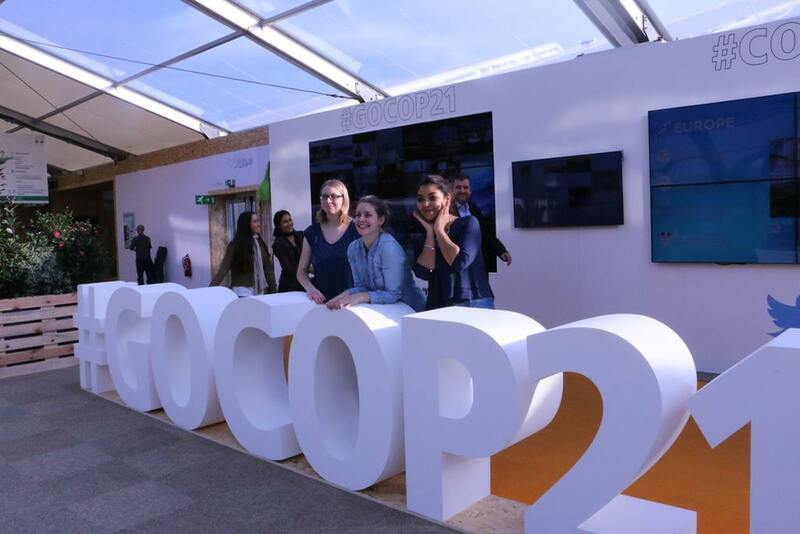 A giant hashtag greets visitors to the Le Bourget Conference Centre. 8.) 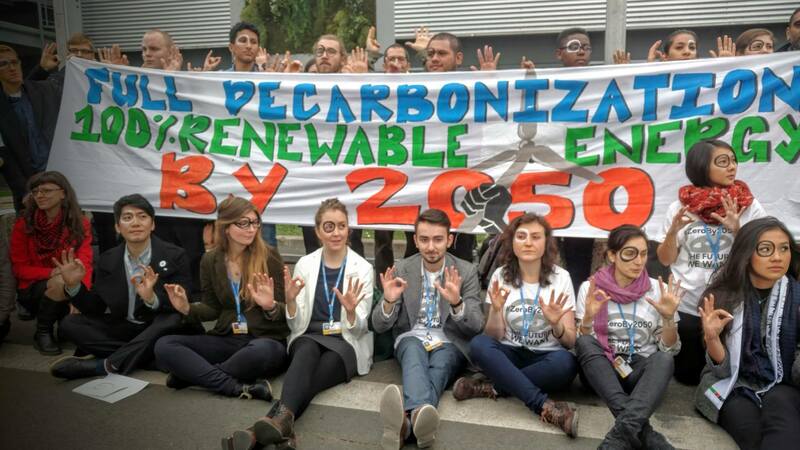 Creativity reigns: Young people discuss how to take climate action and make their voices heard every day, finding unusual but expressive ways to demand action. 9.) There are also a few relaxation rooms, which we think are there for delegates running out of energy. They may come in handy pretty soon. 10.) 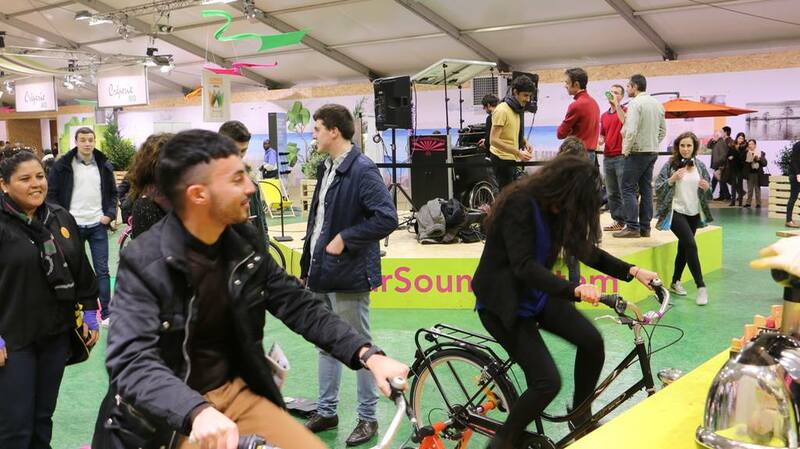 Finally one of our favourites was the bike for juice stand, which requires you to bike until you’ve created enough energy to power the juicer. 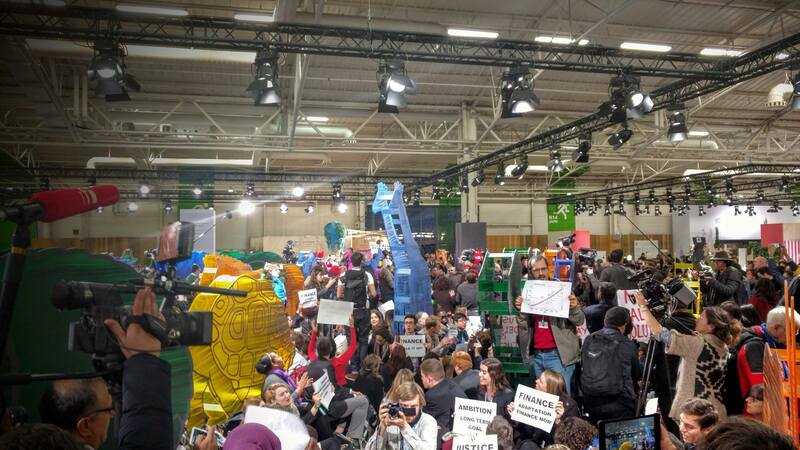 Find more information about COP21 here.